Lock in a great price for Hotel MX roma – rated 8.8 by recent guests! 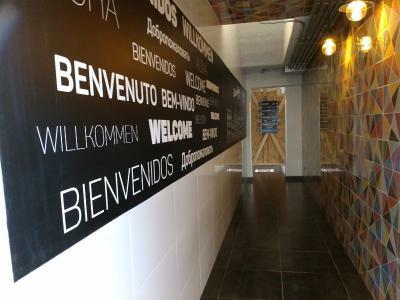 The location of Hotel MX Roma is greatif you want to explore Colonia Roma many things are walking distance and there is a great selection of coffee shops and great restaurants near by. The staff is very accommodating and is there to help in any way they can. The breakfast is also top quality and very fresh. Overall I enjoyed my stay. Nice hotel, great staff. Thought it was wowed the rooftop deck was closed/ locked (it was the reason I booked it). The design of the hotel was cool in all the sense of the word, cool as in hip and cool as in cold. Very friendly staff. The breakfast included in the price it is amazing, the staff it is very friendly, very good location, the property is very cute, the terrace is really good if you want some fresh air. Very friendly and helpful, competent staff, stylishly designed small hotel that gives you quite a bit more than a chain like Ibis (a large, completely separate shower, for instance, and Netflix on the TV) for the same price or less, in a great area. Room service was a nice touch and the housekeeping was excellent and thorough. Free water was given, and the safe was large enough to accommodate a laptop. location, location, location. friendly staff. hip, cheerful decor. good use of colors and materials. First things you will notice about this hotel is creativity. Bright colors and state of the art interior. Friendly staff always ready to help. Also, they provide very useful WhatsApp online support. Good breakfast and terrace is also big plus. 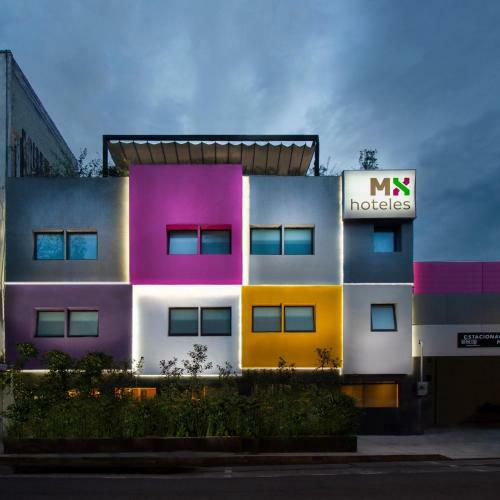 Hotel MX roma This rating is a reflection of how the property compares to the industry standard when it comes to price, facilities and services available. It's based on a self-evaluation by the property. Use this rating to help choose your stay! One of our top picks in Mexico City.Located in Mexico City, Hotel MX roma provides free WiFi. Conveniently set in the Roma district, this hotel has a fitness center. The property is 1.2 miles from The Angel of Independence and 1.4 miles from United States Embassy. At the hotel, every room is equipped with a closet and a flat-screen TV. All rooms are equipped with a private bathroom with a shower, free toiletries and a hair dryer. Guests at Hotel MX roma can enjoy a buffet breakfast. The accommodation has a terrace. You can play squash at this 4-star hotel, and bike rental is available. For guests' convenience, Hotel MX roma has a business center. The reception can offer helpful tips for getting around the area. Chapultepec Castle is 1.7 miles from the hotel. The nearest airport is Benito Juarez International Airport, 6 miles from the property. When would you like to stay at Hotel MX roma? 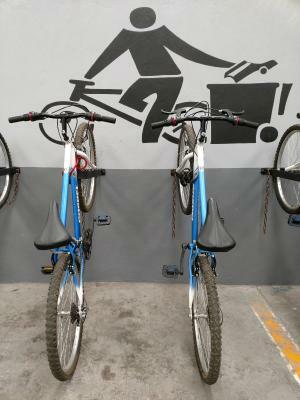 Private parking is available on site (reservation is not needed) and costs MXN 70 per day. House Rules Hotel MX roma takes special requests – add in the next step! Hotel MX roma accepts these cards and reserves the right to temporarily hold an amount prior to arrival. Noisy, stuffy, damp and sewerage smell in the room. Unpleasant staff. A noisy hotel with people coming and going constantly, no soundproofing, can hear the bar all through the hotel. Windowless rooms which smell damp and closed. Hand smear marks on the ceiling of the colourful bed and doors. Would not stay here again. I’m yearning for a small fridge to store something. The window towards the parking lot can be loud in the early morning. The breakfast is basic but a nice gesture. The outlets could have been more handy if it’s located in more reachable spot. The location is just perfect. From here you have access to all the bars, restaurants and cafe. Roma & Condesa are two most lovely neighborhood in Mexico City so you won’t be disappointed. The staff is in general very sweet and nice. WiFi was terrible. Breakfast was below average. Some of the staff weren't perfectly fluent in English - requiring us to resort to google translate (which worked fine). Also, using paypal to prepay for the stay caused issues at checkin with them wanting to charge me again - something we sorted out in a few minutes. Rooms might be a little dark but didn't matter to us as we were there only to sleep. The rest of the hotel is light and airy. Nice, modern clean hotel. Perfectly functional and well located in a lovely old neighborhood. Simple but tasty breakfast. Some lovely restaurants in the neighborhood - within a 10 to 15 min walk (south and east of hotel). Also some of the best street food - if you are up for that kind of thing is just around the corner on Colima. Rooftop is wonderful area to sit and relax (bring your own drink and snacks!). Short walk to the subway system - which is very easy to use and cheap - we felt perfectly safe at all times on the subway, even when crowded. That said, we are vigilant travelers. Very helpful staff. There were only two towels for 4 people (the number of us staying was clear from the reservation - it wasn't hard to get more towels but an inconvenience). The beds and pillows were also not very comfortable and there were no tissues or washcloths. Rooms have paper thin walls and they blast music during the day. Rooms don’t have any place to store or hang clothes so no option but to scatter on the floor. Great location in heart of Roma. Everything was mediocre, I didn’t like that the bed was in a box I felt trapped. You can hear the slightest footsteps outside all the time. Could never sleep- so for me i don’t think I will ever stay here again. The rooms do not have actual windows. The staff is kind and helpful, but most of them could not speak English unfortunately. However, there is a WhatsApp chat available in case you need assistance in English. Location was perfect, in one of the best neighborhoods of Mexico City, safe and walking distance to very nice cafes and restaurants. Staff was kind and helpful. The hotel is modern and clean. They don’t have water fountain to fill water bottles or drink water. That’s wrong. The staff at the front desk were horrible, bad attitude, bad service. The hotel was very small, with a tiny entrance, a tiny lobby and a tiny dining room. Rooms were suphocating since there's not air ventilation. So it also smell bad. A couple of rooms were facing the street so they have windows, but it was very noisy. Only in the suite the bathroom has air ventilation. Very very bad internet, slow and not working. Only the manager had a good attitude, but he didn't help us solve the problems neither. Very disappointed. Do not recommend it at all. the lobby was super small. The hotel looked big on the image but actually was very small, with a tiny little entrance. The lightings were complicated and bad. The rooms don't have air ventilation, even in the bathroom. Only in the suite the bathroom has a fan. Some rooms don't even have a safe. No refrigerator. Same breakfast every day and only very little choices. The internet was super super slow and many rooms don't have internet connections, neither cellphone signals. Single rooms were very small. We suppose a 4 star hotel should provide each client a big towel and a small one, but there weren’t any small towel. We have no idea how this hotel can be a 4 star. This really was the worst “4 star hotel” I’ve ever stayed. The staff were completely useless and irresponsible. This was the worst hotel experience I had in Mexico. Our team will not come back again and we definitely don’t recommend you to stay here.